What if the 911 system were open? What if everyone within a quarter mile of every reported crime were immediately made aware of it? What if there were a camera on every crime? What if transparency existed — if we all knew where crime was occurring and how it was being resolved? Would crime as we know it still exist? Could we restore trust between law enforcement and community? Could we eliminate bias and injustice? 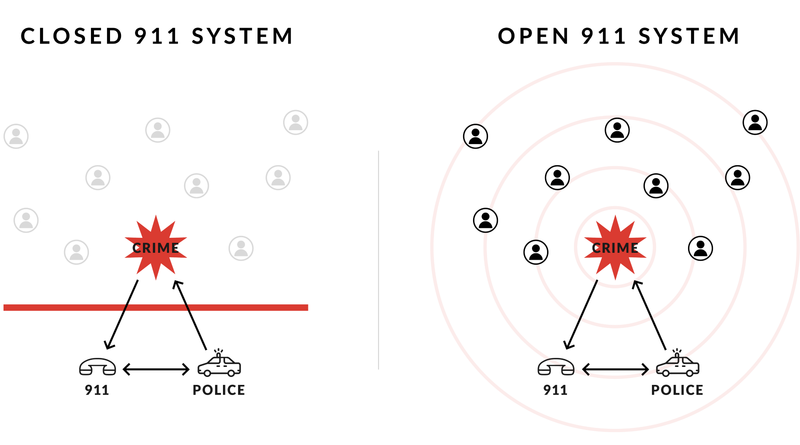 Vigilante is a new technology that opens up the 911 system. 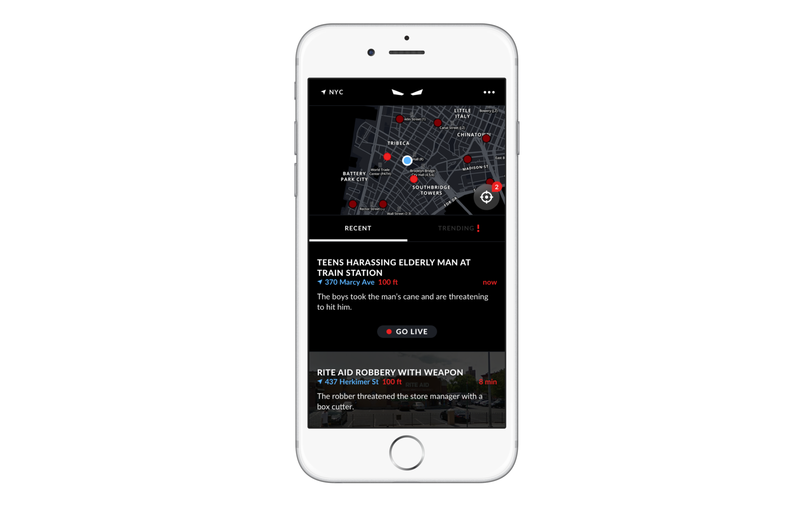 The Vigilante app instantly sends an alert to those nearby whenever a crime is reported to 911. This information shows up on a map, so everyone can choose to avoid potential danger, or broadcast the incident live when it’s safe to do so. The closed system excludes the community while the open system informs and empowers citizens. Vigilante operates in New York City, where 34,500 police officers serve over 8 million people. 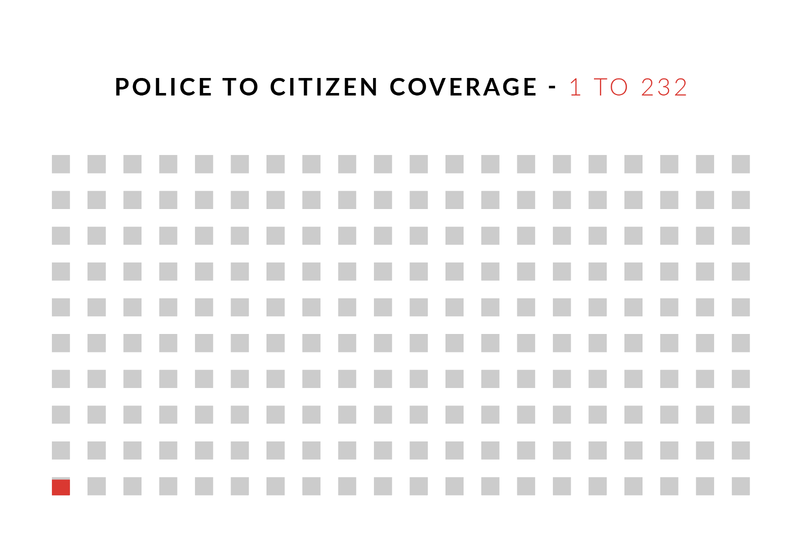 Despite the fact that New York has one of the highest police-to-civilian ratios in the country, the closed nature of 911 means that less than 0.5% of New Yorkers know about crimes when they are reported. Police can’t be everywhere at once, and by the time an officer arrives on the scene, the situation is often over. With Vigilante, vital information is unlocked and everyone can do their part. In 2015, murder rates rose in a quarter of our nation’s 1o0 largest cities. According to FBI data, the nation saw an 11 percent increase in murders during 2015 — a larger jump than we’d seen in almost 50 years. In parallel, trust between community and police has eroded, right at the time that we need it the most. Police are feeling increasingly unsafe, as evidence of periodic corruption surfaces in the national media, negatively affecting the entire police force. Confrontation is replacing cooperation in far too many communities across the nation, and Americans continue to demonstrate against police violence and racism. The lens of the camera is incapable of lying. When we are able to look at a situation from multiple angles, the truth emerges. Transparency is the single most powerful tool in the fight against crime and injustice, and we believe it will rebuild cooperation towards a shared vision. Cooperation, in turn, will lead to safer communities, better cities, and a stronger nation. The technology powering Vigilante is complex, but our mission is based on a simple question: can injustice, crime, and corruption — whether at the hands of a civilian, officer, or politician — survive transparency?